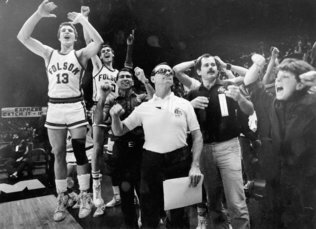 The Sacramento Bee newspaper did an article on my father-in-law, Stan Harms, whose 1985 boy’s basketball team won the state championship. Since my UConn Huskies are out of the running, I was happy to follow hoops for a while longer, since Coach Harms was revisiting his glory days. I just thought it was cool that he wore the Ironman polo we brought him back from Kona last October to the SacBee interview. Epic!! Wrapping up my spring break training week today. 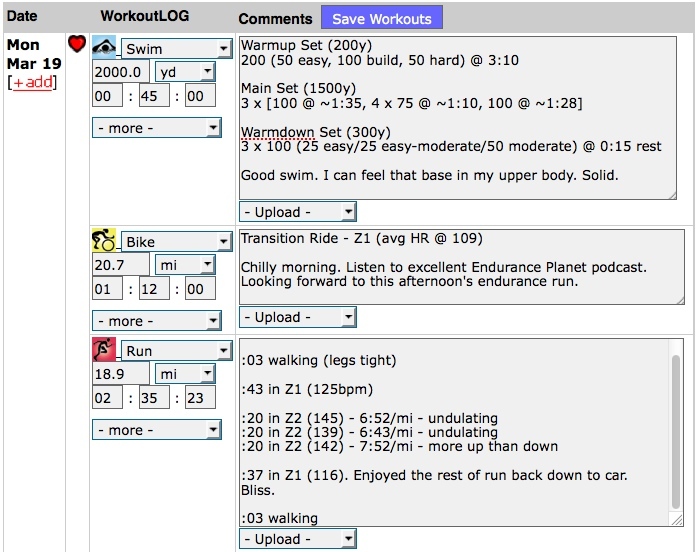 I’ve been keeping better logs this week since I’ve had the extra time (and energy), so check out my workout log below. 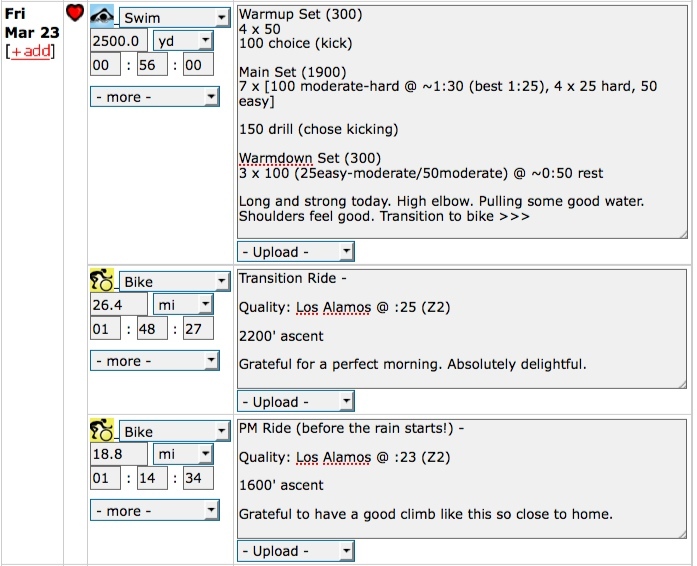 I post it primarily for the benefit of the athletes I coach, as a way to model my own training process. Glean for yourself what you find interesting and/or fun. Then, make it your own. As I learned in college: good teachers steal [ideas] liberally. I just got some new batteries for an old Polar heart-rate monitor I had squirreled away in a closet. I’m now using it upon waking to measure my waking pulse. I usually plan to hit the snooze button as least once in the morning. So, at the first alarm, I’ll just put on the heart-rate monitor strap and go back to bed. What better way to get an accurate reading of waking pulse? So, this weekend turned out to be a bit of a wash on the bike. 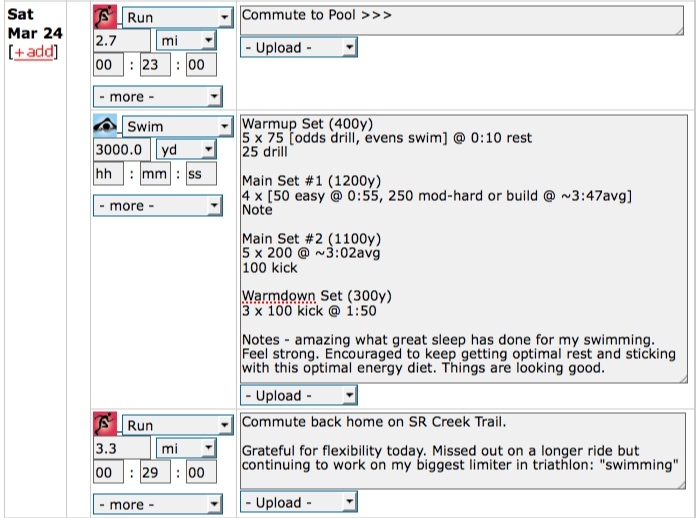 So, I just set myself up some swims and runs. 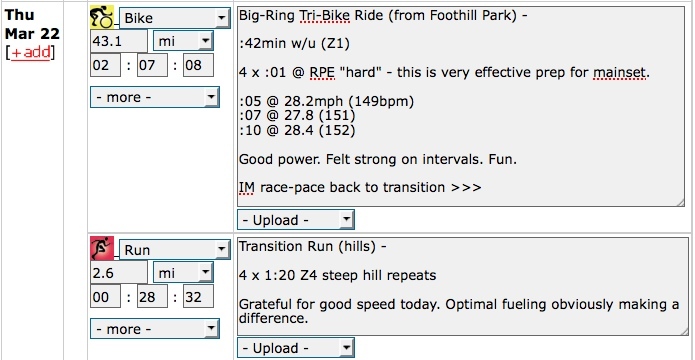 Looking at a resting HR this morning of 42, I know I’m absorbing training because I’m getting good sleep. 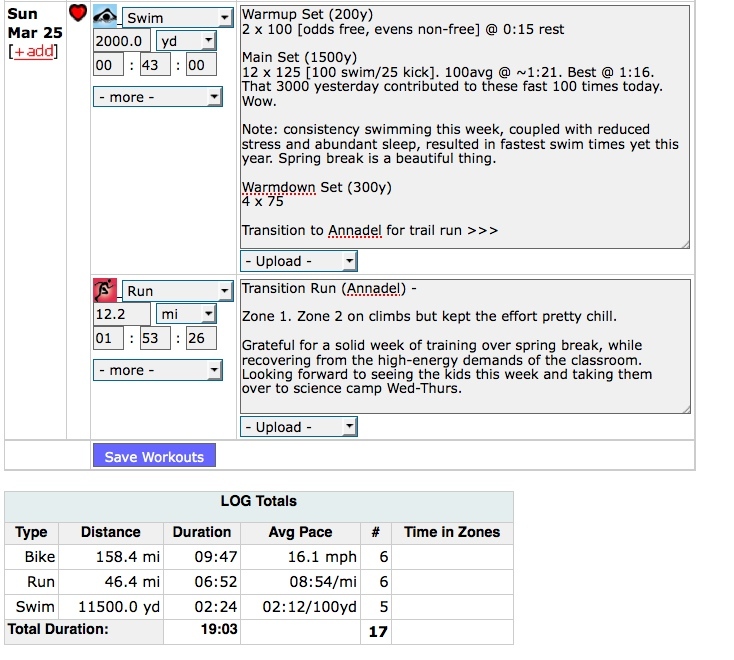 As I filled out my Health Log (inside my online workout log, I noticed something else cool today: the other data also suggested I’m doin’ okay. On a scale of 1-5, 5 is the best. I listed sleep a 5. Fatigue got a 5, Soreness 5, and Stress also, without any hesitation today, got a 5. 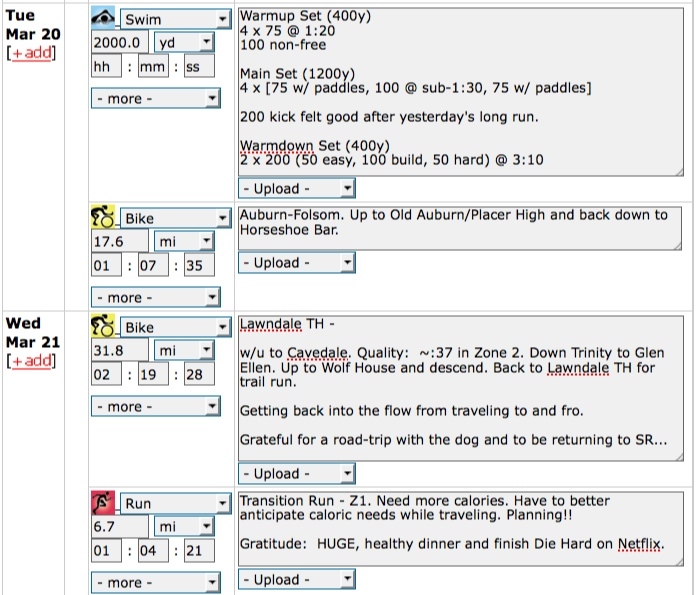 Here’s my spring break triathlon training week. Just click on the pics to make ’em bigger. PPS: Be sure to check out some of my meal pics below. Trying to put the best fuel possible into my engine.